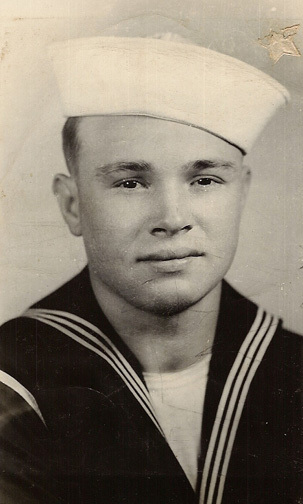 Nolen Moorehead, Seaman 1st class. USS Inaugural AM-242 Copyright © 2001-2004 Jared Johnson All rights reserved. All stories and images within "USS Inaugural AM-242", are Copyright ©2001-2004, to the Veteran who submitted the text and/or photographs and to Jared Johnson, Webmaster at "USS Inaugural AM-242". All rights reserved. No part of this page, or those connected via links, either text, or images may be used for any purpose other than personal use. Storage, reproduction, modification on a retrieval system or transmission, in any form or by any means, electronic, mechanical, photocopying or otherwise, without prior written permission of the Copyright © holder(s) is prohibited.